Swansea City hasn’t enjoyed the best campaign so far this season. The man who led them to safety last term, Paul Clement, was sacked just before Christmas. The club was rock bottom of the Premier League at that point, with little hope of spending another season in the top-flight. However, the appointment of Carlos Carvalhal at the end of December inspired an upturn in form. The former Sheffield Wednesday boss has lost just once in his six league matches as the Swans manager. The club has gained some fantastic results in the last few weeks after picking up back-to-back wins in their games against Liverpool and Arsenal. What made the win over Jürgen Klopp’s men even more special was the fact that the Reds had beaten Manchester City a week before to ruin the Citizens’ chances of an unbeaten season. 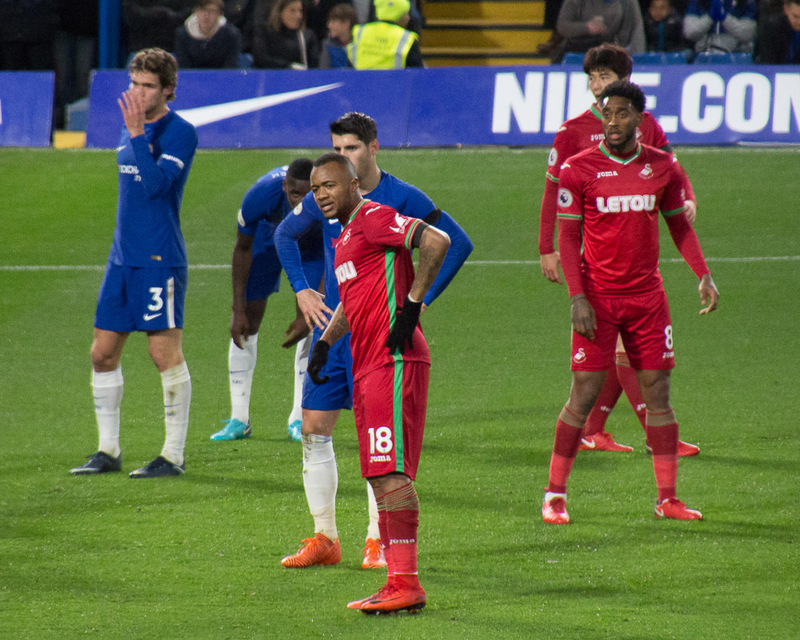 The Welsh side is now out of the relegation zone in 17th position, and many of their stars have been putting in solid performances. Swansea fans were cautious of signing Łukasz Fabiański from Arsenal back in 2014. However, since the star came across, he has been a mainstay for the side. His consistency between the sticks has been incredible, and the Polish stopper is having yet another outstanding campaign despite his team’s struggle for results before the New Year. Fabiański has made more saves in the Premier League than any other goalkeeper this term, and with 99, he should become the first to make 100. The goalkeeper is in good company with his closest competitor, David de Gea, 14 saves behind. 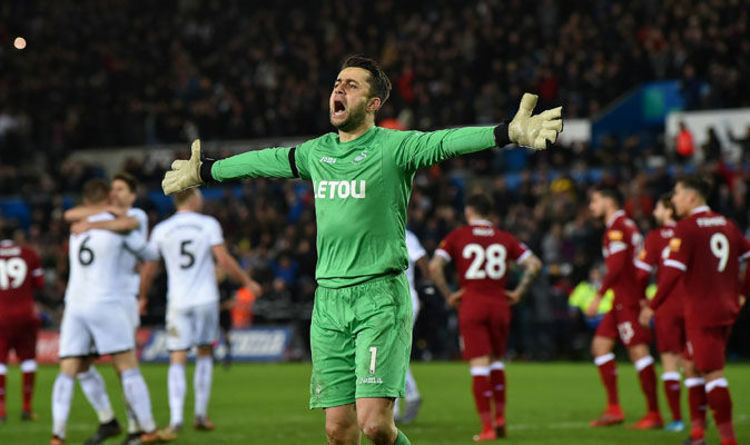 Since signing for Swansea, Fabiański has missed just three league matches and has made more saves than anyone else in that period with 468. He managed to keep a vital clean sheet against Liverpool with some stupendous saves, most notably a fingertip save from Mohamed Salah’s curling free-kick. Many Swans fans have said that if it weren’t for the safe hands of their keeper, they would be in a much worse situation at this stage of the season. With the World Cup just a few months away, one English player who will be vying for a place in Gareth Southgate’s squad is Alfie Mawson. The young central defender has been a breath of fresh air for Swansea since his introduction to South Wales in August 2016. Ever since his ‘Man of the Match’ performance against Watford in his very first Premier League match, the youngster has gone from strength-to-strength. His blend of youth is now working perfectly with the experienced head of Federico Fernandez alongside him in the back four. The Englishman has played 51 consecutive matches in the top-flight after his side’s 1-1 draw with Leicester City, meaning he has played more games in a row than anyone else in the Premier League. Not only showing his consistency but also his reliability, it won’t be long before some of the ‘bigger’ clubs start knocking at the door of the 24-year-old. With some quality defensive investments around him, Mawson could be the focal point of Swansea’s future, if they manage to hold onto him. There isn’t a single side in the Premier League who have scored fewer goals than Swansea, which is why it might be slightly surprising to see Jordan Ayew on this list. However, their lack of goals isn’t because of the poor finishing of their Ghanaian international striker; it is the lack of attacking openings. In their match against Leicester, they had just one shot on target, and while they did score, they only had a handful of touches in the Foxes’ penalty area. With their next match in the league being against Burnley, they might struggle to break down one of the league’s toughest backlines. While this game can be tough to predict, you’ll be able to find live betting odds on Betsafe to stay involved at all times. Ayew is Swansea’s leading goal scorer with five goals, and after his brother, Andre, re-signed for the Swans from West Ham on Deadline Day, he’ll be expecting plenty more goals between now and the end of the season. Jordan Ayew is keeping young English star Tammy Abraham out of the side which shows that he must be playing well as the Chelsea loan has performed well since he made a move across the Anglo-Welsh border. It is essential that Swansea keep up their good form if they are to steer themselves away from the drop zone. The above players are going to be vital to Swansea’s end of season run-in, and they must hit form at the right time. Poor performances will see the Swans fall back into the rut they were in before Carvalhal’s appointment.